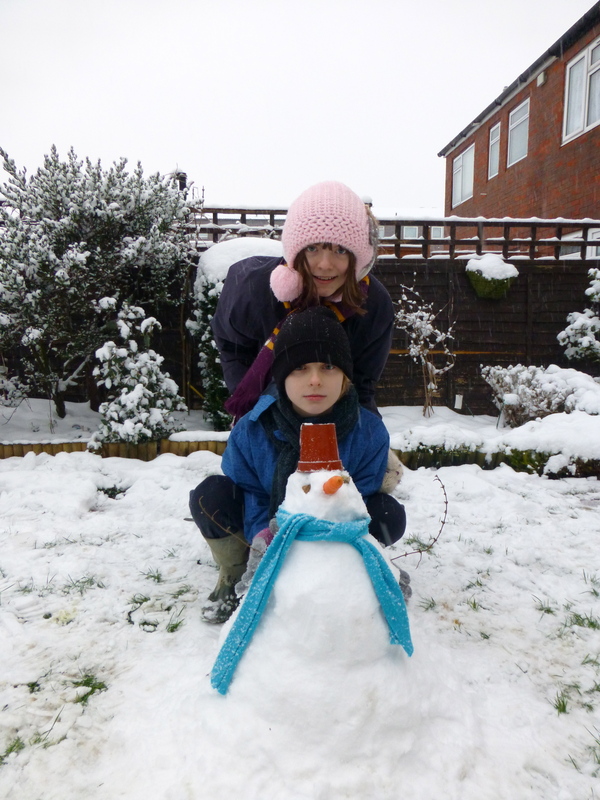 Yesterday in the snow the kids got creative and made a little snowman. I wonder how long he’ll last before he melts? 2 Responses to Kids made a snowman. Claire this is a little, but cute snowman! I do like to see the joy, on kids faces! I hope the snow lasts enough! I think they would have made a larger one, but they were getting cold, and it was getting dark. Personally I like the flower pot head.